Two tax parcels ( lots 15 and 16 B4--100'x130' ) in North Silver Lake Estates high and dry, 1/2 block EAST of the Fox River. Build one or two homes! The Lake (Silver--over 460 acres) and Fox River are within walking distance (and new walking path around the northern part of the lake is accessible on Eastwood DR). Village sewer service in the area.Train lovers will enjoy the proximity to the Canadian National railway. 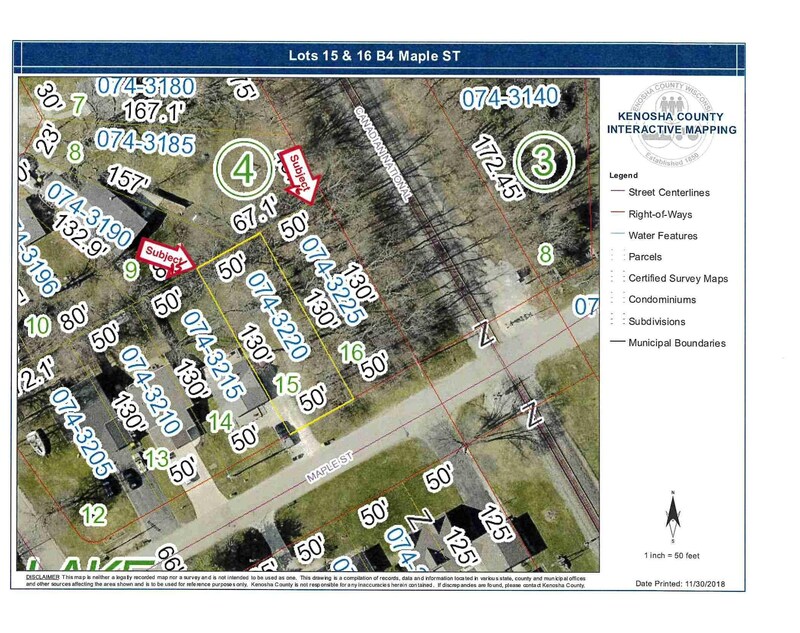 Lt15 Maple St #16, Silver Lake, WI 53170 (MLS# 1615549) is a Lots/Land property with a lot size of 0.30 acres. Lt15 Maple St #16 is currently listed for $46,000 and was received on November 30, 2018. 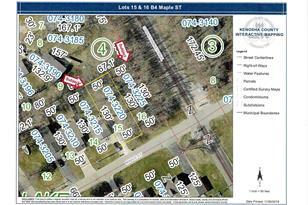 Want to learn more about Lt15 Maple St #16? 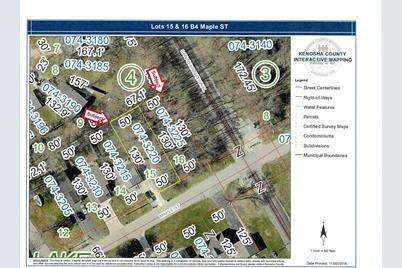 Do you have questions about finding other Lots/Land real estate for sale in Silver Lake? You can browse all Silver Lake real estate or contact a Coldwell Banker agent to request more information.